The Round Tower - standing at 92ft. 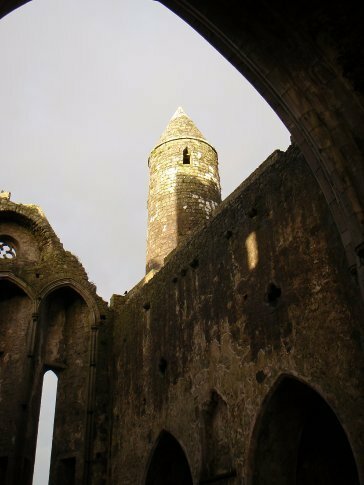 It is the earliest building on the Rock of Cashel, possibly dating to the 10th century. The original door was 12ft above the ground - only in Ireland.